Bithumb, one of the most important cryptocurrency exchanges in the world and the largest in South Korea has important plans ahead. It has partnered with a travel website with over 50,000 hotels in order to accept 12 different cryptocurrencies. At the same time, it is planning to enter the ATM market by installing crypto ATMs in South Korea. When cryptocurrency businesses succeed, they help the world adopting virtual currencies. In its plans to expand its businesses, Bithumb is helping cryptocurrencies to spread. The cryptocurrency exchange has formed a partnership with South Korea’s largest accommodation app known as Good Choice. The intention is to allow the application and travel website to accept several cryptocurrencies as a means of payment. The platform offers over 50,000 accommodation facilities like hotels, inns and campers. The platform may support 12 cryptocurrencies including: Bitcoin, Bitcoin Cash, Ripple, Ether, Ethereum classic, EOS, qtum, Monero, Litecoin, ZCash, Bitcoin Gold and Dash. Bithumb has also decided to impulse crypto adoption by installing Bitcoin and cryptocurrency ATMs in South Korea. According to local news sources, the Touch B will be the new brand promoted by Bithumb to install crypto ATM machines. In February, Bithumb has been partnering with different ATM manufacturers to supply ATMs to different businesses, including small restaurants and cafes. 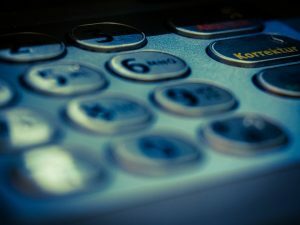 According to Bithumb, the ATM business will help small business owners to be benefited by placing ATMs in their shops. Additionally, the crypto exchange explained that they are continuously working in different blockchain projects. South Korea is one of the most active countries in the cryptocurrency market. It accounts for an important trading volume after the United States Dollar and the Japanese Yen. Its population is also very enthusiastic about the possibilities that the crypto market offers. With these two new partnerships, Bithumb is helping the country to further adopt cryptocurrencies.